This option is great for those looking to steer clear of the hassles of organizing manufacturing and generally running a business. We'll keep in contact with you about further revisions or changes to your design, but we deal with the manufacturing risks. We buy the parts and the PCBs to build your widget. We monitor demand and order stock to meet it. Doing this we can often significantly reduce the cost of the BOM (bill of materials), and produce a reliable, steady supply of your widget. An example of this relationship is the WAV Trigger. The hardware and firmware was spearheaded by Jamie Robertson with one of our engineers guiding the design to help leverage the SparkFun manufacturing process. Part Sourcing, Manufacturing, and Testing -- We'll handle everything that goes into manufacturing and assembling your product. From ordering PCBs, resistors, IC's and other components, to stuffing the boards, and testing for complete functionality. These are company skills in which we place a lot of pride. Managing the Storefront, and Shipping Orders -- Just as any other product, your widget will get its own product page, and can be ordered via our online retail system. Paying You a Percentage Royalty Per Product Sold -- Before the product goes live, we'll find an agreeable percentage royalty to pay you per product sold. Then sit back as we send you quarterly checks. Customer Service and Technical Support -- Our customer service team will tackle all of the customer's order-specific questions. Our ace technical support crew will be trained up on your widget, and help answer any technical questions. Should it be necessary, we'll handle replacements or returns. 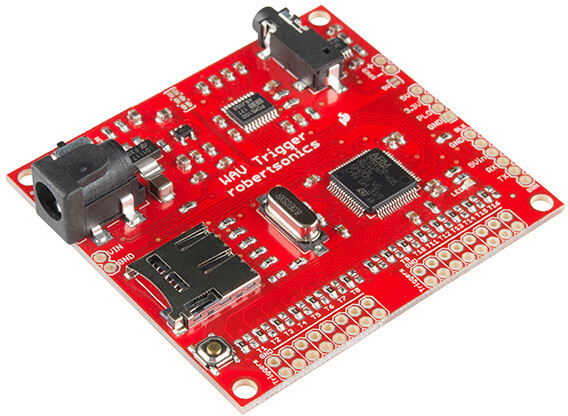 Initial Design (Prototype) -- Come to us with as much information and tested hardware as you can. Usually we like to see at least an initial round of prototyped PCBs. We can work together from there to bring your product fully into the fold. Keeping in Contact -- We expect your product to be around for a while, and as long as it's around we need you to be there too. For the product's lifetime, we'll need you to stay in contact for any questions or revisions that might come up. Designing for (SparkFun) Manufacturing -- More on this in the next section. 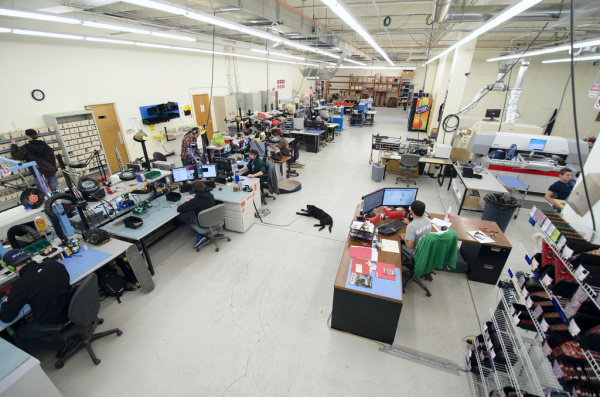 We'll assign one of our talented engineers to help create a SparkFun manufacturing-friendly design based as closely-as-possible on your original design. Documentation -- At the bare minimum we'll want to release a hookup guide alongside your product. We can work together to help make this happen. We're happy to help publish and create more content as required. Getting the Word Out -- Our marketing team will help let the world know about your product. We hope you will too! "Scrubbing" the Bill-of-Materials (BOM) -- We'll look for minor BOM adjustments that allow us to use parts we already have in production stock rather than sourcing a new component. For example, we may want to swap out your TC1185 voltage regulator with a nearly-compatible (already in house) MIC5205. Or (assuming it doesn't break anything) try to use a 2.2kΩ resistor instead of the 2.1kΩ you've spec'ed out. PCB Layout Adjustments -- We'll want to use part footprints from our EAGLE libraries, and we may want to tweak some component placements to give the pick-and-place machines some breathing room. Test Procedure Considerations -- Every one of our boards is tested for complete functionality, in one way or another. On some designs this means adding test points, on others it means working in some test code under the hood of your firmware. To help implement these DFM adjustments, one of our talented engineers will be assigned to work with you on bringing it in house. No matter what, we'll work and communicate with you along the way to make sure our changes don't alter your vision of your product. As a result of the "design scrub", this option takes longer than the previously mentioned route. We'll go through at least one prototype round of the design to iron out any production issues, and just make sure the thing works as intended. If you want to get a head start, and make things go a little more smoothly, try design your product to follow as many of our design rules as possible. Check out the next page for more details on that!